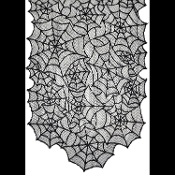 Fancy Gothic Decor BLACK LACE SPIDER WEB TABLE RUNNER Door Topper Window Swag Mantel Scarf Spiderweb Halloween Haunted House Costume Party Haunted House Mansion Castle Entry or Dining Room Decorations-80x20 inch. 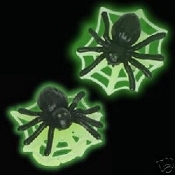 Elegant spooky, scary scene setters at very low cost! 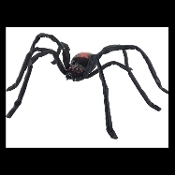 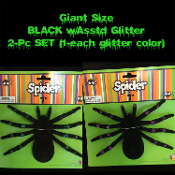 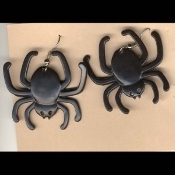 Big Creepy Black Widow Spider Halloween haunted house decoration. 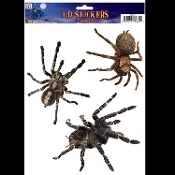 Great scary prop for any party, can be placed nearly anywhere, indoor or outdoor. 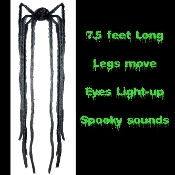 Plastic body with adjustable fabric covered wire legs is spooky enough to add just the right touch to your cemetery graveyard. 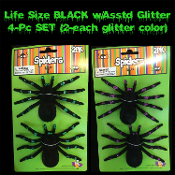 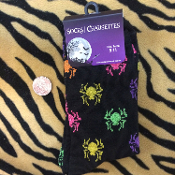 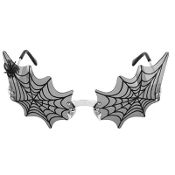 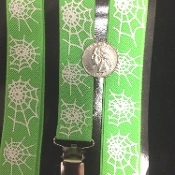 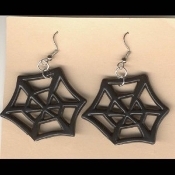 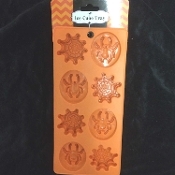 Got arachnophobia? 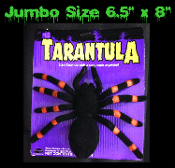 Awesome huge scary Giant Spider has a 4.5-foot wide bent leg span and a fake fur covered body! 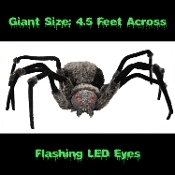 Multiple blood red flashing LED eyes light up with flick of a switch, giving a creepy crawly menacing appearance for this super size creature guaranteed to scare! 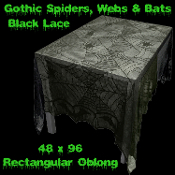 Elegant Gothic Haunted House Black Bat-SPIDER WEB LACE TABLE CLOTH TOPPER 48 X 96-Halloween Decoration Kitchen Dining Decor Sheer Shroud - Haunted House Mansion Castle Entry Costume Party Prop Building Supplies. 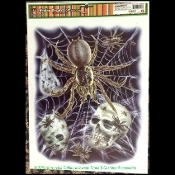 Spooky witch den, scary pirate horror scene setter.